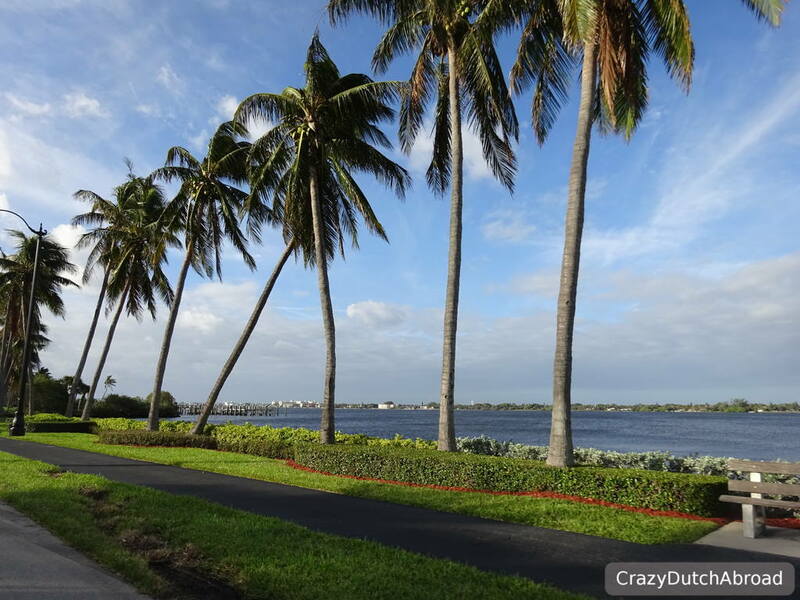 Explore the Scenic coastal highway including; Jupiter, West Palm Beach and Hollywood! 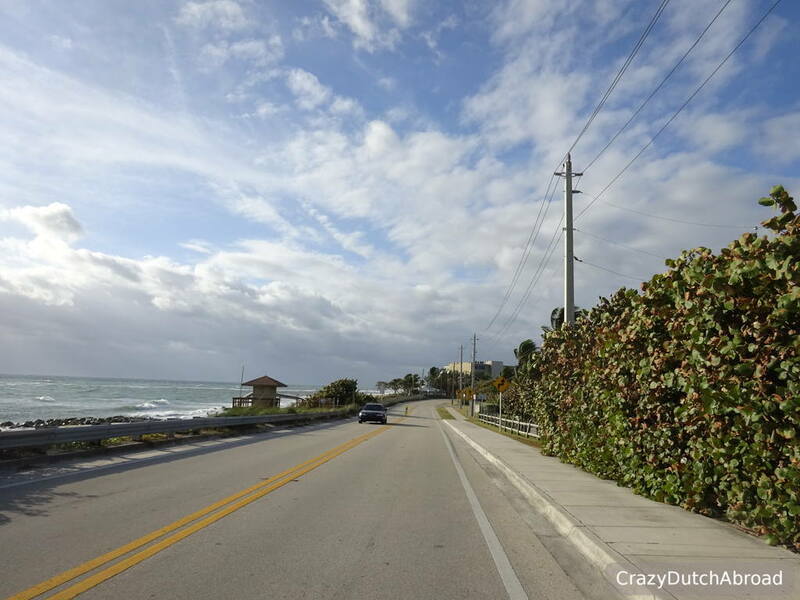 If you have a few days to drive along the East Coast, take the scenic A1A highway! 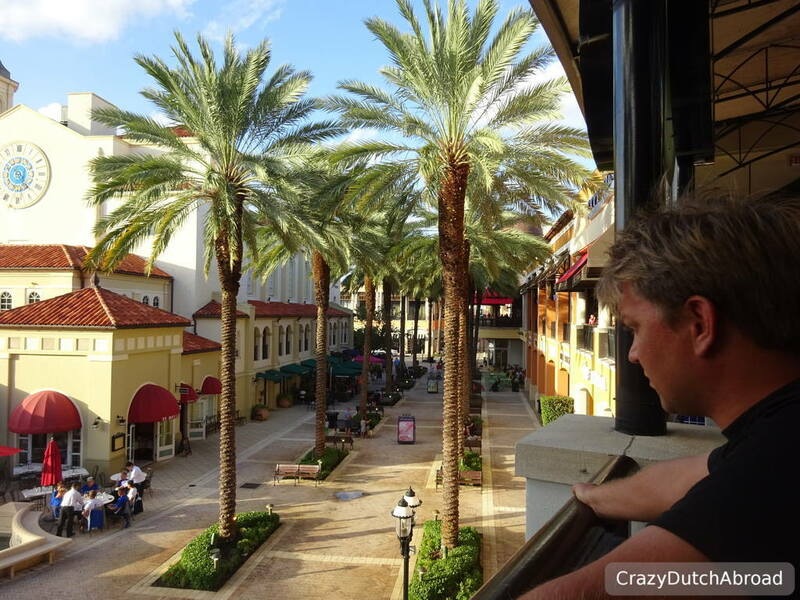 We drove from Orlando to Fort Lauderdale, North to South. 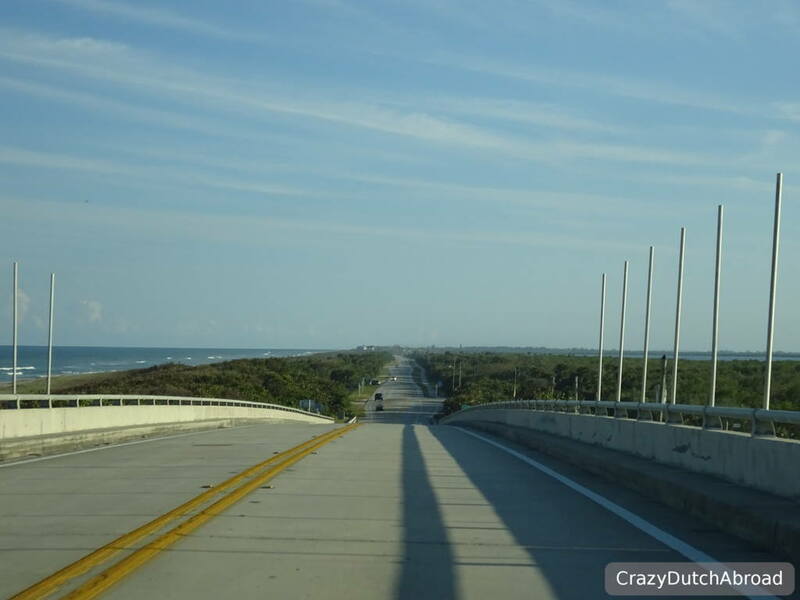 It is about 400 KM if you drive through Cape Canaveral. We did it in five days with one night in Fort Pierce, two nights at West Palm Beach and two nights in Hollywood. You can easily take a week or even two if you are a beach lover. 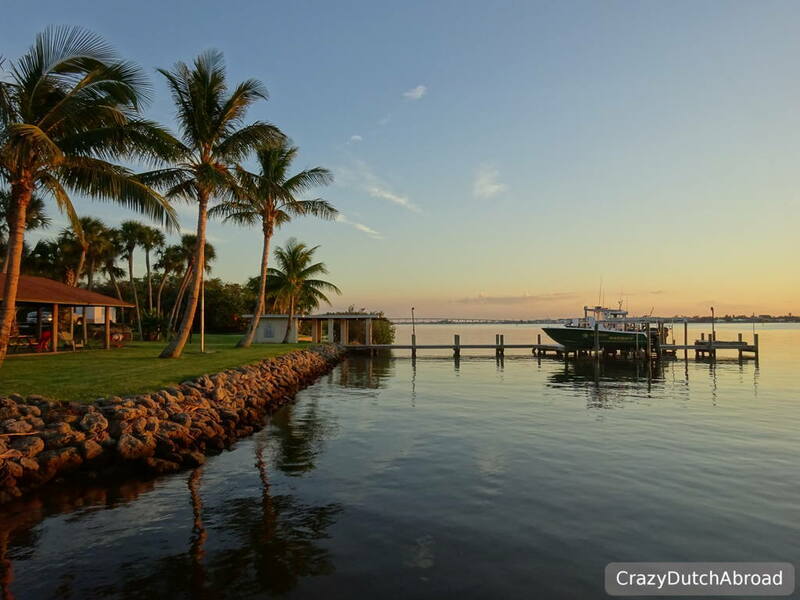 Compared to the West Coast of Florida the East coast is more rough, higher waves (no wonder, it's the open sea instead of a gulf) and more beautiful beaches and villas (or castles). 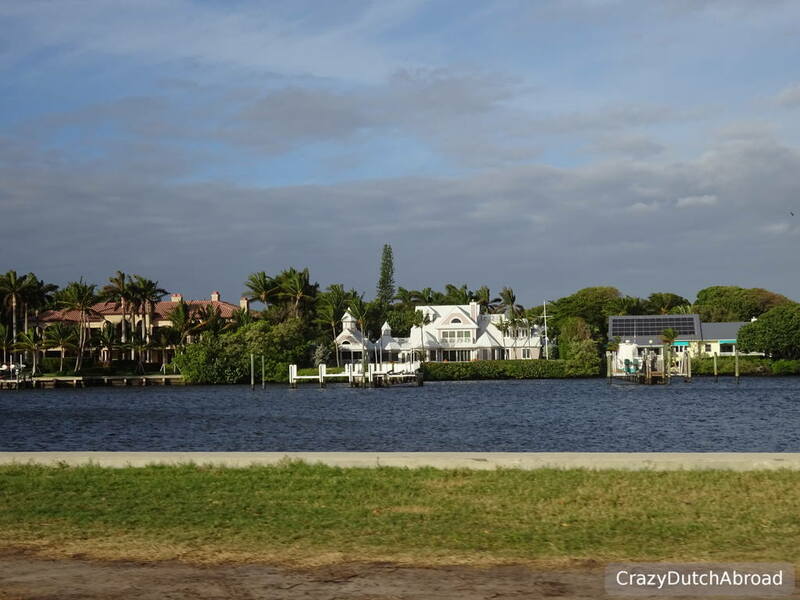 You are driving closer to the waterfront as well, with some bridges and small land-strips where you have water on both sides. Definitely worth the trip! 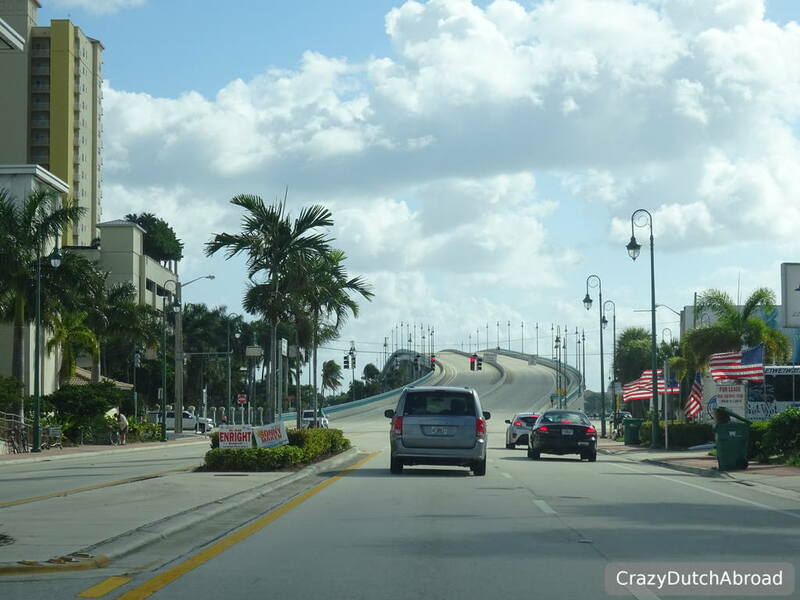 Things to love when driving along the East Coast of Florida! 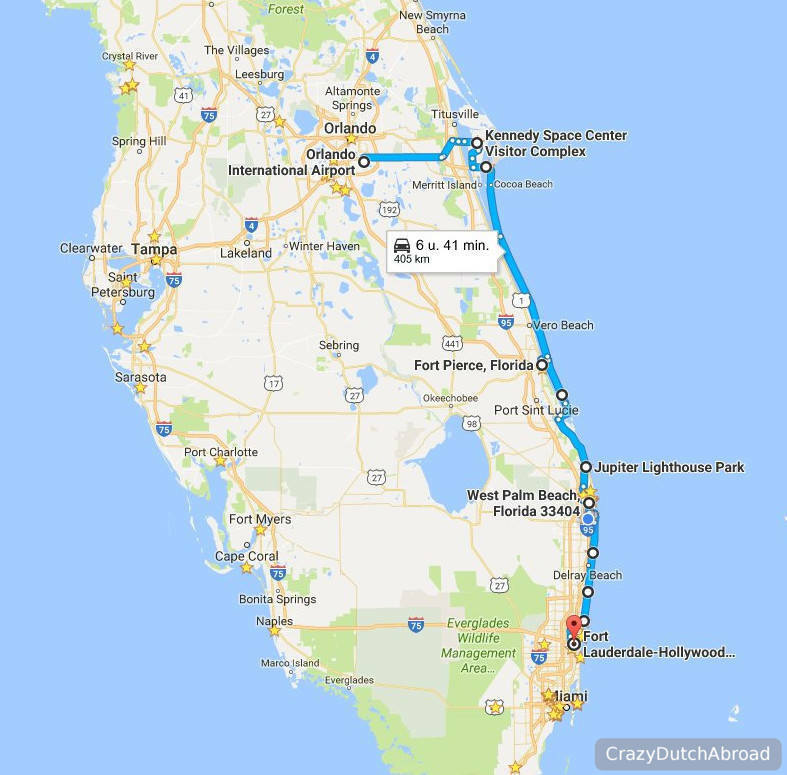 The long strip (A1A) from Cape Canaveral to Cocao Beach looks a lot like the Florida Keys to us, only smaller (which we prefer) and cheaper (which we prefer even more). Beautiful colored houses, shops and restaurants and a lot of water sport activities and activities like miniature golf in between. Great for traveling with children! 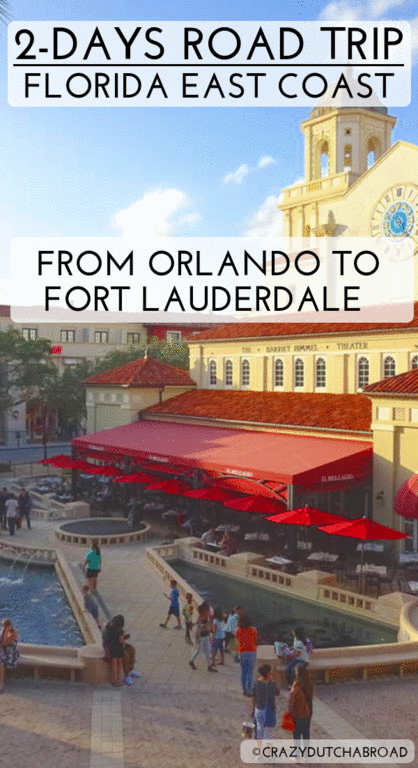 From the impressive cruise ship harbor with huge multistory ships to beautiful white sandy beaches, there is something for everybody around here. We stopped here for a break and we stayed for sunset because it is such a beautiful place. 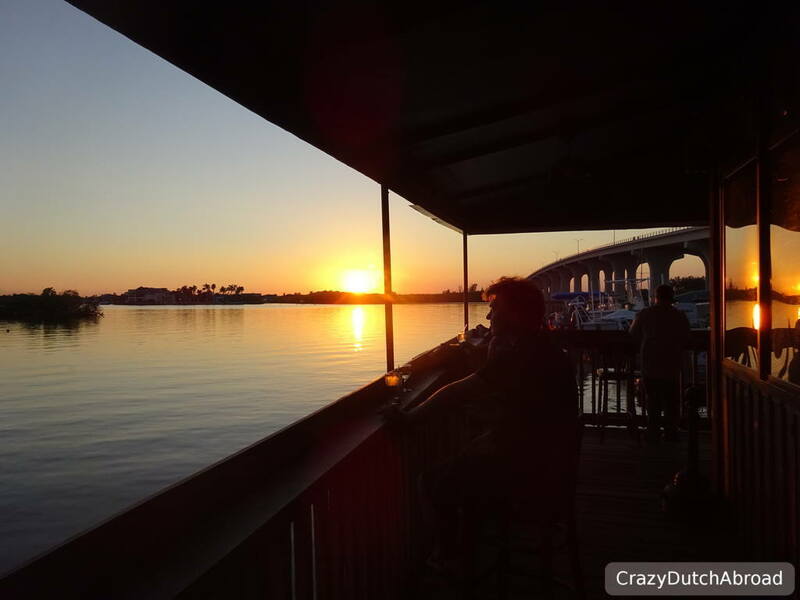 This local waterfront bar/restaurant has a romantic ambiance and an outside seating all around, right at the harbor. They have white beer on draft! 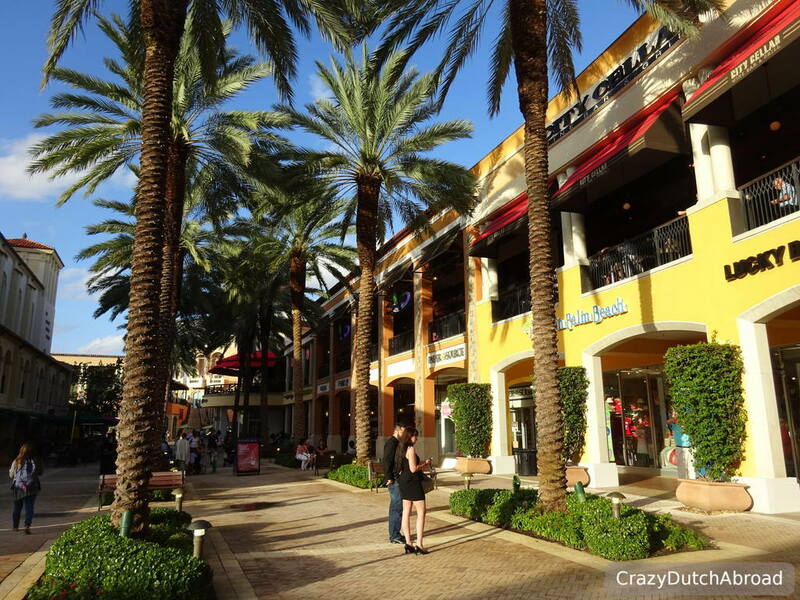 There are two must visit areas in West Palm; City Place and Clematis Street. 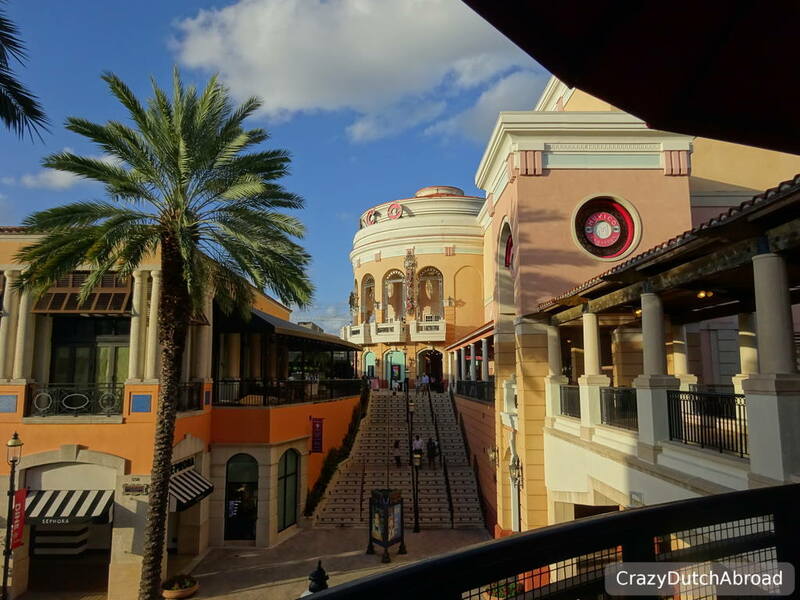 City Place is a new looking fancy shopping center and dining area with a decorated Italian twist. 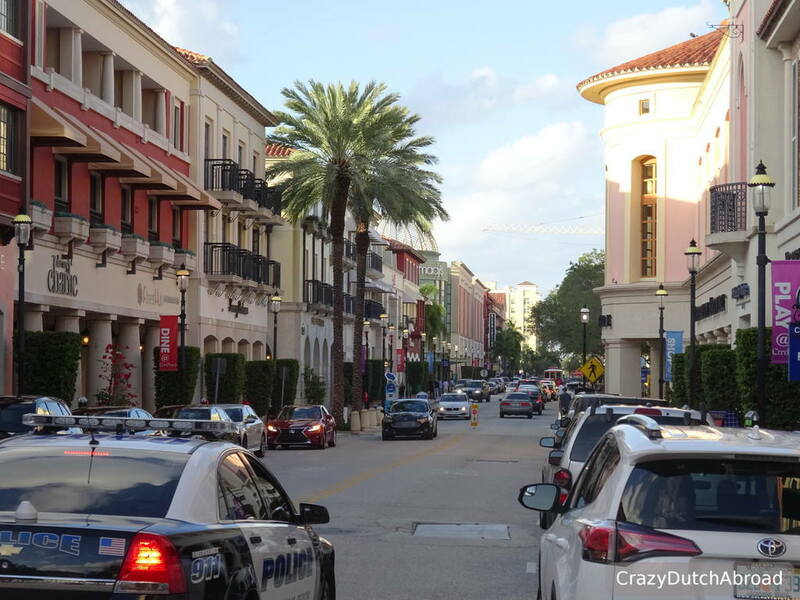 Clematis street is a more local strip with bars and restaurants plus a few boutique and souvenir shops. Every Thursday night the event Clematis by Night takes places. 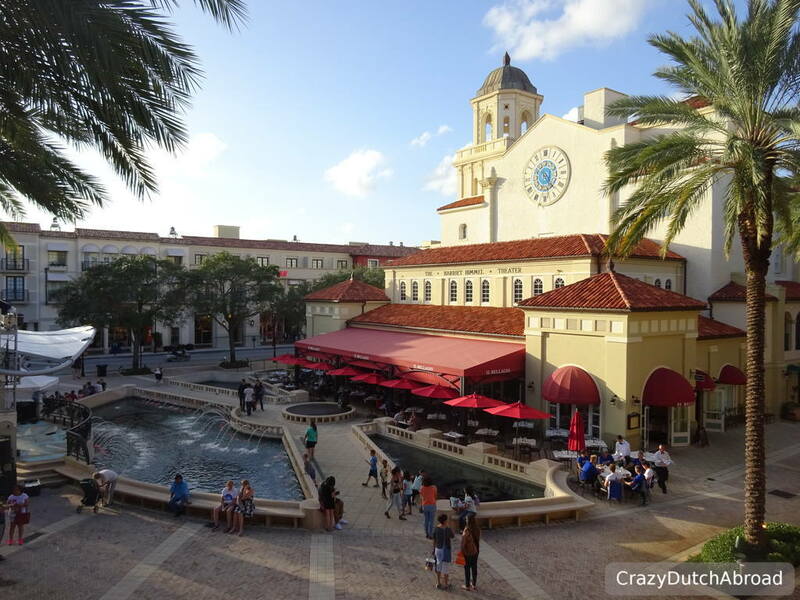 A weekly outdoor concert in Clematis street with happy hour specials and live music produced by the West Palm Beach Department of Parks and Recreation, Division of Community Events. We missed it due to our planning. 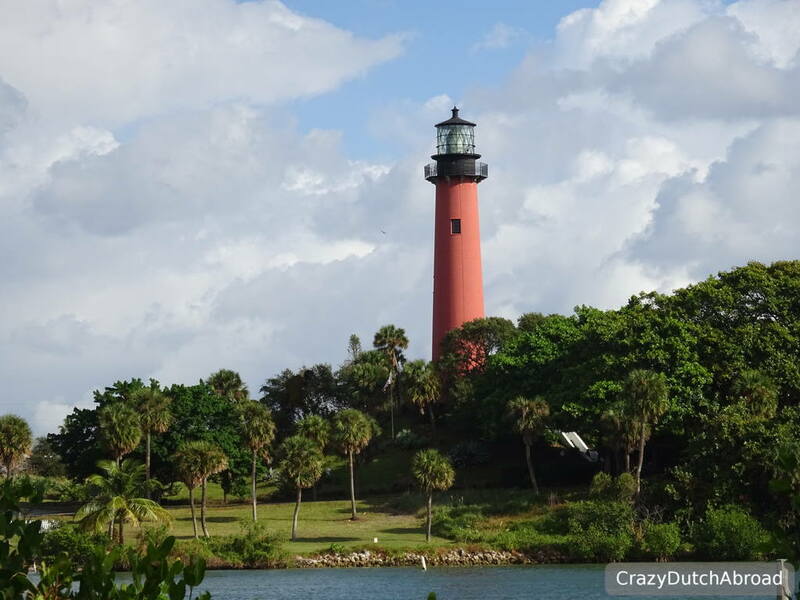 The only landmark we found that was standing out along the East Coast was the lighthouse of Jupiter, the Jupiter Inlet Lighthouse And Museum. You can pay an entrance fee to walk inside the park and climb up the lighthouse. In The Netherlands there are so many lighthouses we have climbed before, we stayed outside to take pictures of the scenery. Personally I like Hollywood Beach better than Miami South Beach. It is still touristy but the prices in general are down to normal, no people pulling you inside restaurants and you actually have a beach and ocean view when you are sitting on the outside terrace. Nicks Bar and Grill is a great spot, we were there during election night. Lessons learned along the East Coast of Florida! Do you want grits? We honestly had no idea what the waitress was talking about. Try it! 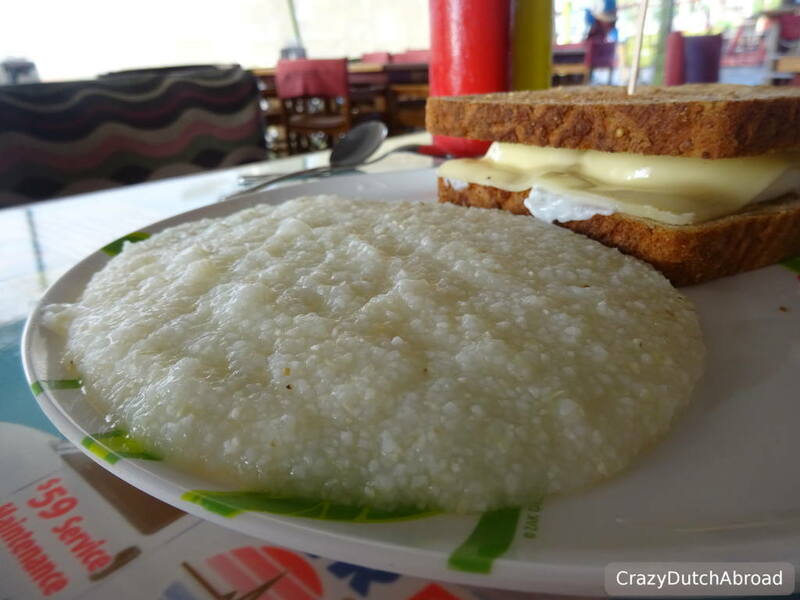 So we discovered grits (grutten in Dutch), something in between oats and porridge. Here they either make it sweet with sugar and cinnamon or salty with cheese and so. Later on I found out it is getting fashionable as well, like chia seed and super foods. I like the taste and bought a kilo for easy healthy breakfasts in the Dutch Caribbean. My backpack is torn after one of our last flights, the whole bottom is basically damaged including the zipper. Repairing is probably not possible, let alone a strong fix, so let us search for a new one. We searched everywhere! Luggage stories, Wallmart, travel shops, only a hand-full of too big and too expensive ones. We found Outdoor World which is an adventure in itself. 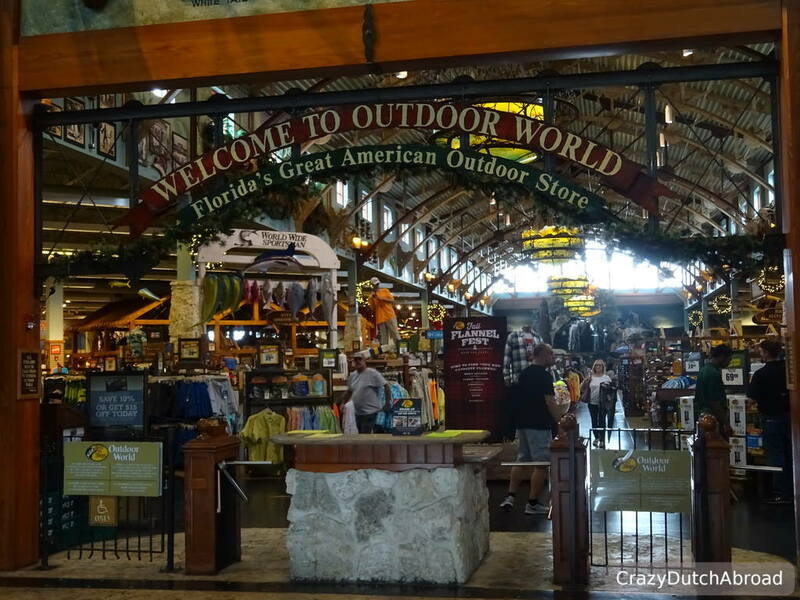 With the size of an IKEA, including a huge restaurant and a huge aquarium with waterfall this outdoor/camping themed store was just impressive. Fishing gear, hunting gear, sailing and camping products all in their own themed section. The whole store looked like a wooden bungalow. Some backpacks were available, but $250 plus and not with the right pocket division. Since we have not seen any backpackers in California and Florida anyway, let us try it somewhere else or order online. One of the part of the Everglades National Park is Flamingo Park with the Flamingo Gardens. The park looked a bit over-organized for us with all kinds of activities and paths but seeing the flamingos would have been great. Later on we found out the flamingos are in a smaller enclosed area, more like a zoo, so we skipped it. Anyway it would have been a bit strange to pay for seeing flamingos when we would be in Bonaire the next week. Flamingos roam free around the island. The Jungle Queen Riverboat company has those boats that look like the old steamboats from the Mississippi river. There are several sightseeing cruises available with dinner and entertainment or just the cruise itself. Having a drink or diner while watching mermaids dancing on Friday night. 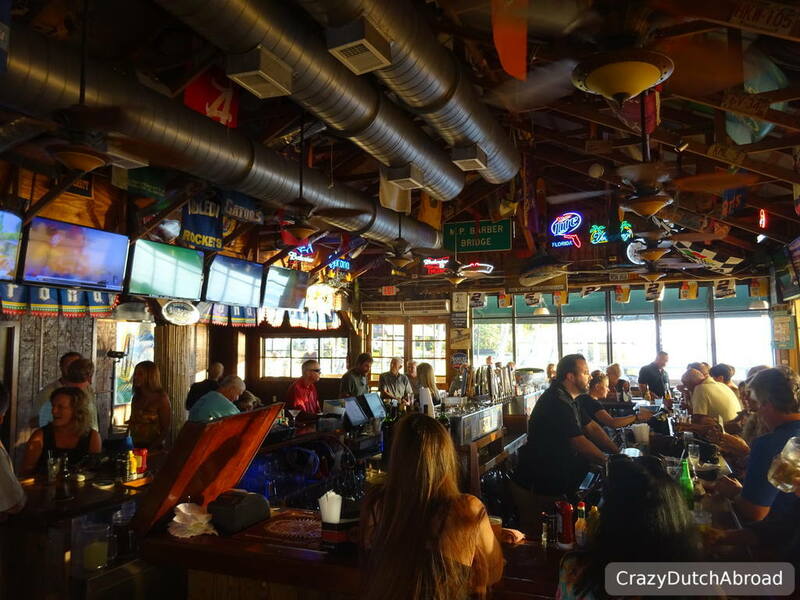 This nautical themed Wreck Bar offers a kitschy but I guess fun evening out. We were there on a different day so we skipped it. Hotel score price-quality Rooms are spacious and very convenient.